Located at 10295 Collins Avenue in the beautiful Village of Bal Harbour, Ritz-Carlton Condo enjoys a prime Oceanfront location. Spacious Residences (Tower Ocean Estates and Grand Penthouses) range in size from 1-5 Bedrooms (~2,000 – 8,000 Square Feet), offer beautiful views of the Ocean, Bay, Coastline, and City Skyline, Floor-to-Ceiling Impact Windows, Doors, spacious Terraces, 10’ Ceilings, and premium interior Finishes. Ritz-Carlton Bal Harbour Condo is located within walking distance to Shops and Restaurants, is 1 Mile from Bal Harbour Shops, and is also conveniently close to numerous other Stores, Fine Dining, Cultural activities, Nightlife, Indian Creek Golf Course, Marinas, Sports Venues, Miami Beach, Lincoln Road Mall, 2 International Airports, and more! The Village of Bal Harbour, FL is bordered on the North by Sunny Isles and on the South by Surfside and Miami Beach. 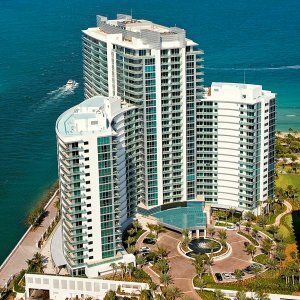 Interested in Bal Harbour Oceanfront Condos, Surfside Condos, Sunny Isles Condos, Miami Luxury Condos, Miami Oceanfront Condos, and/or Miami Beach Condos? Ritz-Carlton Bal Harbour is a great choice to consider.